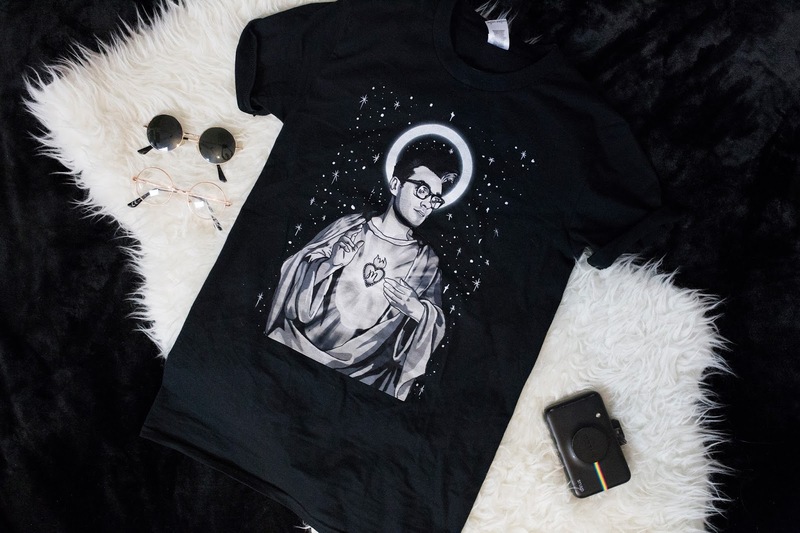 Etsy Giveaway & Christmas Gift Guide 2017! Guys, I don't mean to alarm you but... "IT'S CHHRRIIISSTTMMMAASSSS" Too early for Slade yet? Sorry, haha. So for those of you that have been following me a while, you know that I love supporting smaller, independent business' so I always buy gifts from there, and like to encourage others to do so, too! Etsy is a website where business' can sell their handmade, and/or vintage products, so you end up finding some really unique pieces on there, which is perfect for presents, or even just buying yourself some cool bits and bobs (cuz y'know, treat yo'self). So this Etsy shop called Classy Burd is owned by an awesome lady Linzi who illustrates and designs the items she sells. 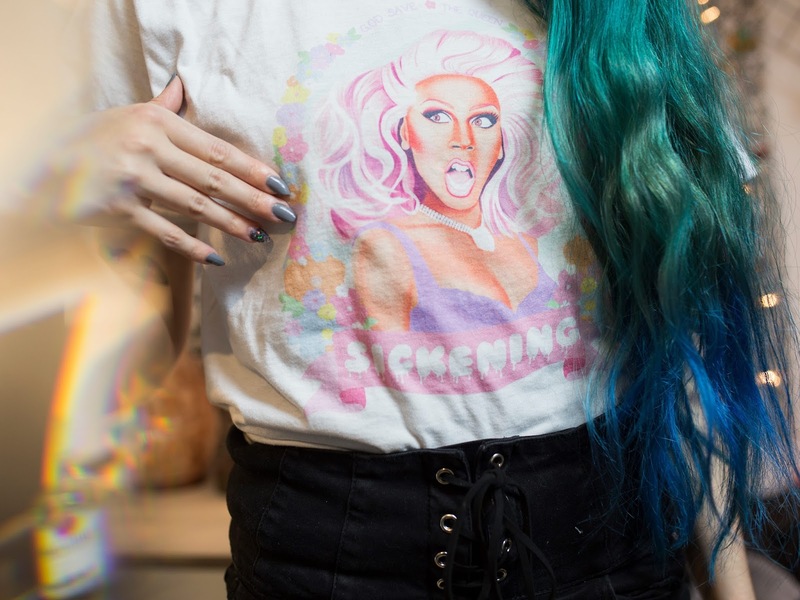 Ru Paul fans, your gonna love her stuff, the sickening top I'm wearing is just one of the Ru merch she has, there's also Sharon Needles tops and totes, and of course prints too. Sharon Needles is literally my favourite queen, the Sharon bag is on my wishlist for sure. Such perfect presents! The next shop which is perfect for stocking fillers is this little jewellery store; In The Moment. 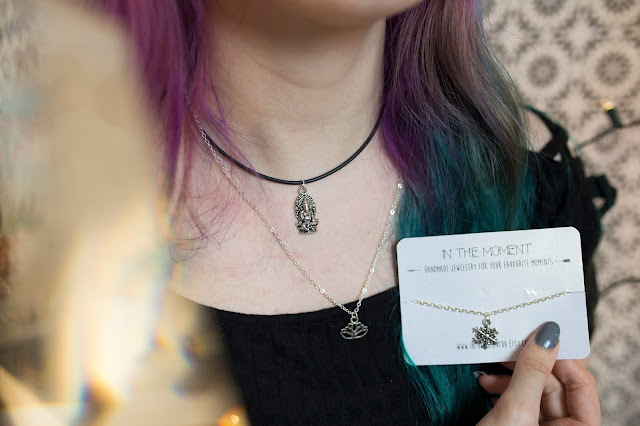 I love getting jewellery from places like this, as their much more unique and more my style than what I'd find anywhere else. 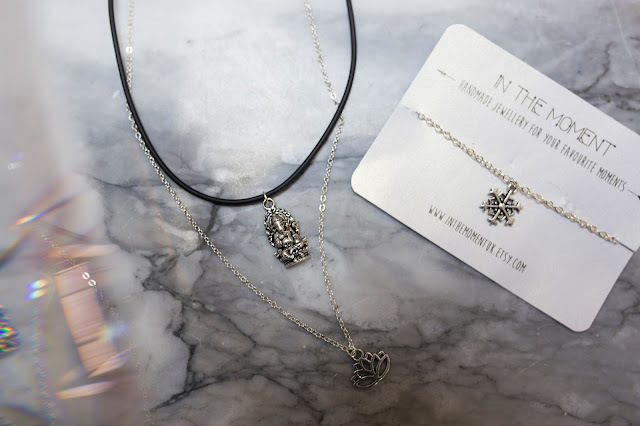 It's also all handmade, and you can customise some pieces and choose whether to have a chain or a fabric necklace, which makes it feel more special! And last but not least... Cosh Illustrates! Again, the lovely owner Clara designs and illustrates all of the artwork you see on her products, which are amazing. 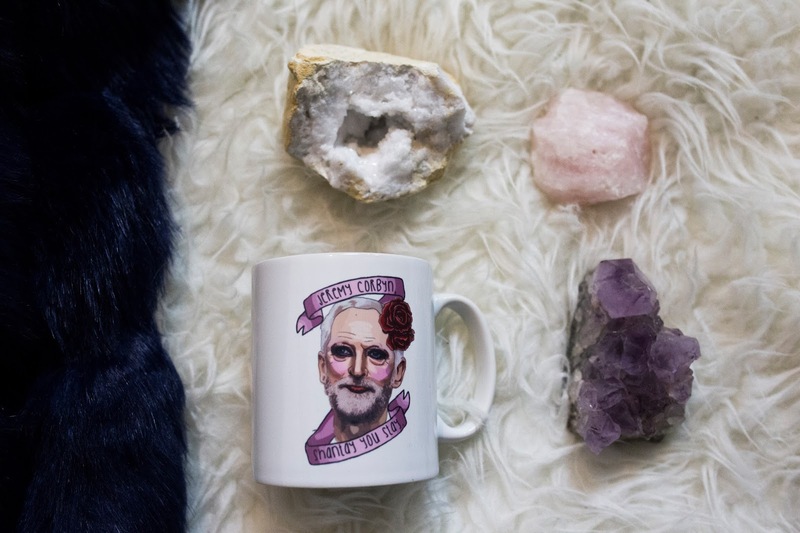 I picked my two favourite things on the shop, surprise surprise, drag related again haha... Jeremy Corbyn in drag though, no less! She also does a Theresa May mug which says Sashay Away, perfect to buy a Torie for Xmas, haha! Want to win a £25 Etsy voucher, which you can spend anywhere on the site, on anything you want?